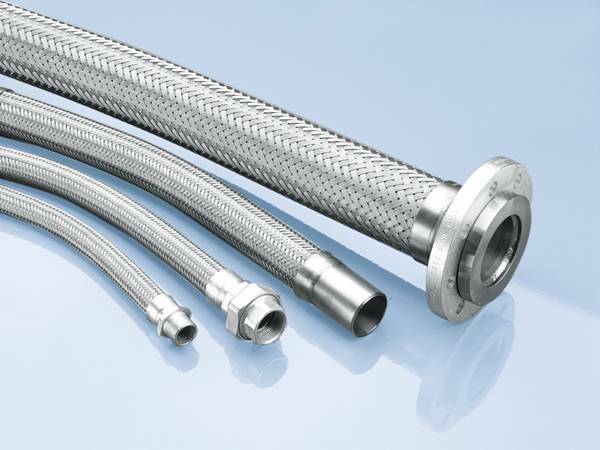 High pressure flexible hose in annular construction is braided by one or two braids to provide high pressures up to 3250 psig and suitable for hydraulic applications. Heavy wall braided hose made of stainless steel T321, T316L are suitable for applications where need long cycling life and flexibility. 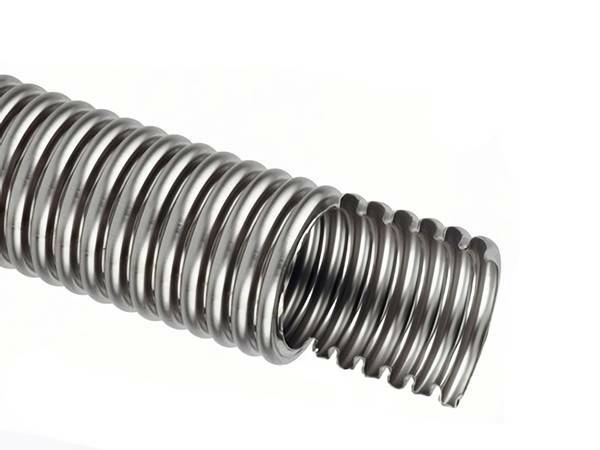 Super flexible braided hoses in annular and helical corrugations are well suited for header, manifold systems where require high flexibility and long cycle life. Hebei Qianli Rubber Products Co., Ltd. are striving for being a leader in flexible hose filed. We've introduced advanced equipment and technology, both of which are the foundation of high quality products. In addition, our company has set up regular training intending to enlarge our employees' vision and enrich their knowledge of manufacturing and designing first-class products. Diverse braided hoses are at stock. For materials, they can be separated into three groups: stainless steel 304, 321, 316L; bronze and Monel. For pressure requirements, corrugated hoses of ultra-high pressure and medium pressure are ready for your quotations. For flexibilities, stand and super flexible hoses are provided. For nominal hose sizes, 1/4" through 12" are available. In a word, whatever type you need, you will find the right flexible hose here. Each products of our company are designed for the exact technical parameters, including working temperature and pressure, burst pressure, test pressure and other related data. All these data are tested at 70℉. However, working pressure will drop when the ambient temperature rises. Please consult the derating factor between temperature and pressure and calculate the practical pressure your applications need. For convenient choices and saving your precious time, we've summarized six criteria for metal hose selection. Hebei Qianli Rubber Products Co., Ltd. pursues quality-first policy and aims to being your most trusted supplier of metal hoses. There will be a win-win if you choose our products. 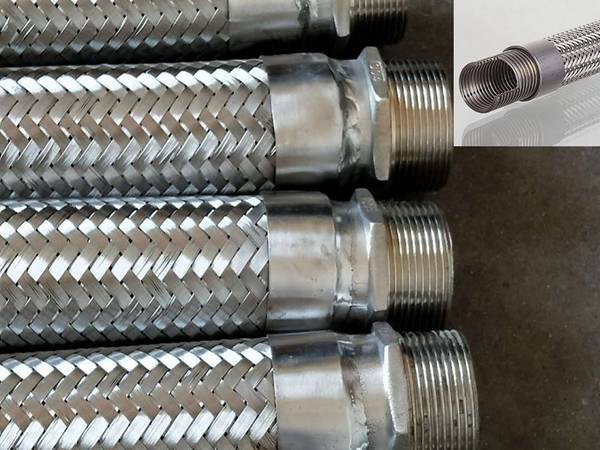 High pressure flexible hose in annular construction is braided by one or two b..
Super flexible braided hoses in annular and helical corrugations are well suit.. 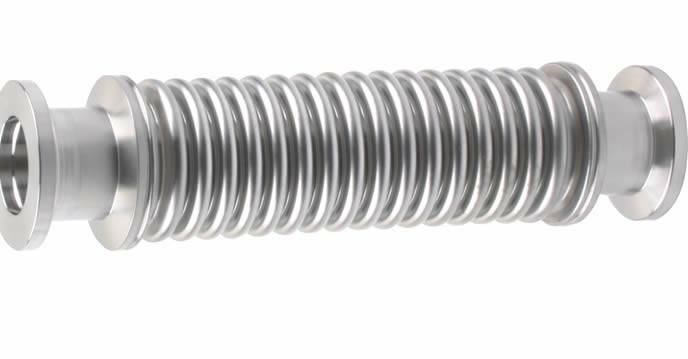 Flexible stainless helical hose including unbraided, single braided and double.. 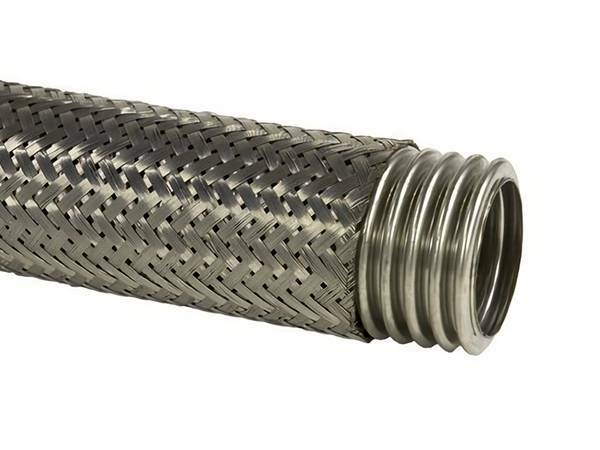 Medium pressure flexible hose in annular construction uses stainless steel T32..